Villa Tunera has 3 bedrooms, 3 bathrooms. 1 bathroom en suite, 1 for the other two bedrooms and 1 for the barbecue and pool. It has excellent finishes of wood and volcanic stone. The house is set in a single plantal with the exception of the pool which is on another level. It is well equipped to feel at home. The TV has international channels. Villa Tunera is in a unique location, the center of the island near Timafaya and Geria, as well as the beaches of Famara and La Santa. Perfect for a quiet holiday away from the tourist areas but at the same time close to everything. The location is perfect to explore the whole island as it is in the center of this, the neighborhood is very quiet and safe, can take long walks in the mountains, biking, etc. 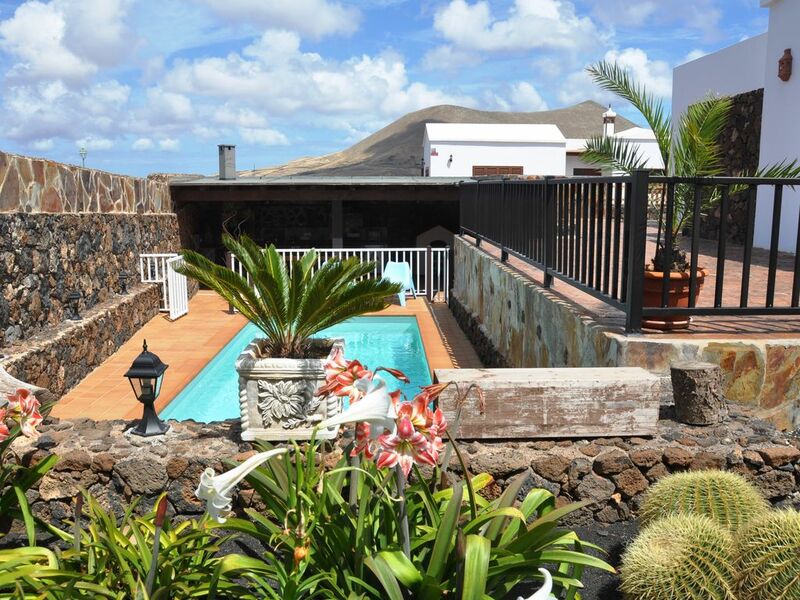 Ideally car hire in Lanzarote there are many offers at very good prices. Parking is at the door of the house. The bus stop is very close to 1 block away. Sorry, but we do not accept animals.